Which DSLR or Mirrorless Camera is Best for Video? A lot of creative filmmakers use DSLRs like the Canon 5D, or mirrorless cameras like the Panasonic GH5. These interchangeable lens cameras can shoot ‘film-like’ shallow focus shots, and they’re better in low light than similarly priced camcorders. Which one should you buy? 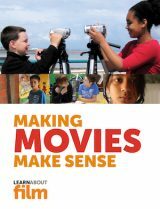 Panasonic have some excellent filmmaking features, and produce sharp video. Their recent models can shoot 4K Ultra High Definition. 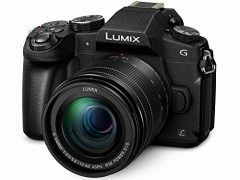 If you can afford it, their GH5s is probably the best filmmaking camera you can buy under $3000/£2500. Canon have very good colours, are easy to use, and their DSLRs have good battery life and a wide range of lens options. They’re popular with professionals, and they’re better for stills. All the Canon cameras here have fast Dual Pixel autofocus which is popular with vloggers. 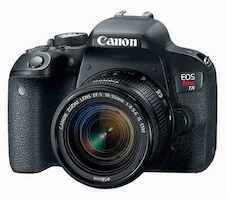 But their SLRs are bulky, and most of their affordable cameras only shoot 1080p HD. Sony’s A7S II is a small full-frame camera with excellent low light performance. The A6500 is a compact, more affordable APS-C option. They can both shoot 4K: downsides are rolling shutter issues and limited battery life. Fujifilm have excellent colour rendition, and their new XT-3 adds powerful video features. For really high image quality (but less convenience) you could use a cinema camera like the new Black Magic Pocket Cinema 4k. If you’re on a really tight budget, you can get used SLR or mirrorless cameras that can shoot HD video for under $300 (£250): my suggestions are on this page. The G7 is a popular, affordable mirrorless camera with a built-in electronic viewfinder and tilt and swivel touchscreen which can record 4K and 1080p/60 slow motion. It’s a good choice for beginners on a budget. If you can afford it, it’s worth paying extra for the more solidly built G85. It has a magnesium body, a bigger battery, weather sealing and the option of adding a battery grip. It has the same excellent in-body image stabilisation as the much more expensive GH5. I think it’s the best camera for filmmaking under $1000/£800. This affordable tilt-screen DSLR is the first entry-level Canon to have fast dual pixel autofocus and Full HD slow motion. It’s easy to use. Its APS-C sensor is larger than Panasonic’s MFT, which makes it easier to get creative shallow focus effects, and Canon colours are better than Panasonic. But being a DSLR it’s less convenient. This prosumer DSLR adds weather-sealing, a headphone socket, better battery life and 1080p slow motion. It’s popular with vloggers, and it’s a good choice if stills are important. It’s more solidly built, with better controls than the T7i/800D. It has very good dual pixel autofocus. An electronic level helps you avoid sloping horizons. The EOS M5 is Canon’s top APS-C mirrorless camera. 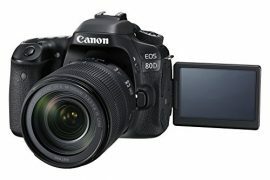 It has similar video features to the 80D (but no headphone socket), with the addition of a convenient built-in electronic viewfinder and five-axis image stabilisation. It’s designed to be used with compact EF-M lenses, but you can fit standard Canon lenses with an adapter. Battery life won’t be as good as the 80D. You could also consider the more affordable EOS M50, which has an easy-to-use interface and also includes the excellent dual pixel AF. It’s the only APS-C Canon mirrorless that can shoot 4K, but it’s not that usable (there’s a very big crop factor and dual pixel AF doesn’t work in 4K mode). I wouldn’t buy it if 4K is important to you, but it’s a compact option for Canon 1080p HD. 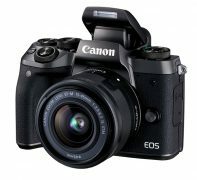 This full-frame professional camera is particularly good in low light and has the best image quality of these Canon cameras. It has full quality HDMI output (so you can use an external recorder) and a headphone socket, and can shoot 1080p slow motion. It can shoot 4K, but only in crop mode. The older 5D MkIII is also worth considering if you’re buying used. If you don’t need to shoot stills, the Canon C100 Mk I – an interchangeable lens video camera which costs about the same as the 5D – could be a better choice for filmmaking. 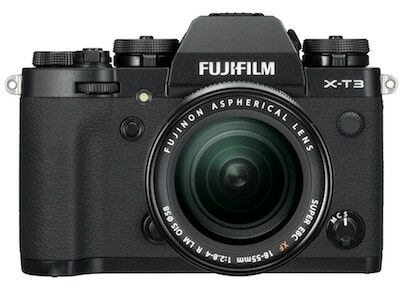 Fuji’s new XT-3 has great colour rendition, good dynamic range and pro video features at a relatively affordable price. Its impressive features include ultra-fast autofocus, internal 4k, 10bit recording at 400Mb/s, 4K slow motion and log recording. It doesn’t have in-body image stabilisation. 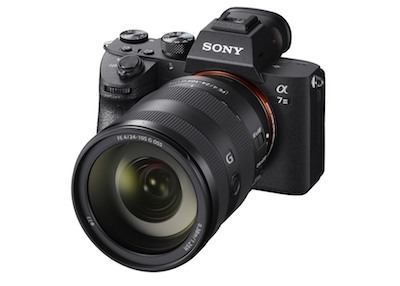 The A7III is Sony’s most affordable 4K full frame mirrorless camera. It has five axis in-body stabilisation. As well as full-frame it can also shoot APS-C/Super 35. It shoots slow motion HD at up to 120 fps, and has fast autofocus, log modes, and very good low light performance and battery life. 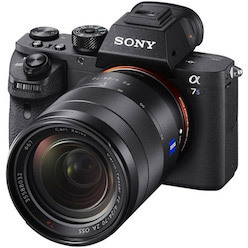 Sony’s A7S II is an expensive full-frame mirrorless camera. 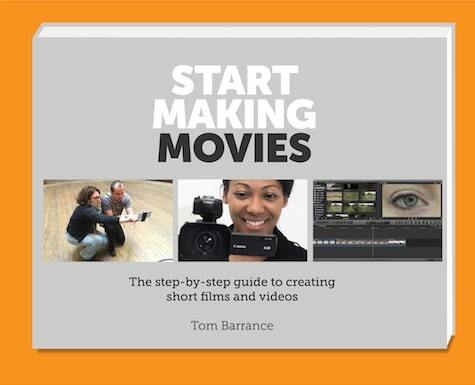 It’s becoming popular with documentary and news filmmakers. It’s exceptionally good in low light and can record 4k, though rolling shutter is a problem. Sony’s small A6500 shoots 4K, has a smaller APS-C sensor, fast autofocus and good low-light performance. Its 1080p footage isn’t great but it’s a relatively affordable option for shooting high quality 4K footage. The lens range is limited, but in-body image stabilisation means you can stabilise other makers’ lenses (mounted with an adapter). Its size makes it a good option as a travel camera and for mobile journalism and documentary, though battery life is limited – you’ll need to carry several spares. It can also shoot in log mode which makes colours easier to correct and adjust. The screen swivels vertically but isn’t fully articulated, so you can’t tilt it towards you for vlogging. All these cameras can shoot great footage, but you’ll need some extras to film with them. You’ll almost certainly need a microphone or sound recorder. You may also need other gear, depending on what kind of film you’re making. 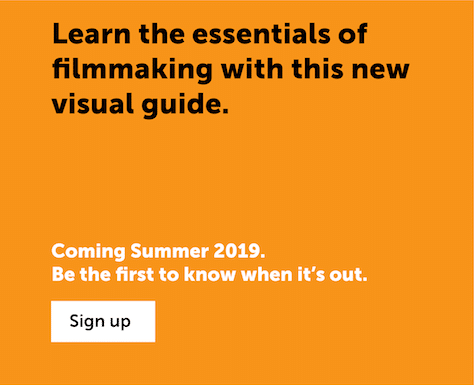 So I’ve created a basic filmmaking equipment list. All the Panasonic and Sony mirrorless cameras here have electronic eye-level viewfinders. The Canon SLRs don’t: their viewfinders black out when you shoot video. Unless you’re going to rely on touchscreen autofocus, you’ll need to magnify the ‘live view’ screen image so you can focus accurately. An optical viewfinder like the pro Zacuto Z-finder or the cheaper Kamerar enlarges the image and makes the screen much easier to see in bright light. It’s also easier to hold the camera steady with the eyepiece against your eye. For working on a tripod, a field monitor (a separate LCD screen) is more convenient. You could just get one or two zooms, or some prime lenses (lenses that don’t zoom). These usually have wider apertures so they’re good for shallow focus and low light. Guide to different kinds of lenses. If you get a cheap adapter (for Canon SLRs, or mirrorless cameras) you can fit old manual focus SLR lenses like the OM Zuiko series which are cheap, easy to focus and great value. If you’re using a Panasonic mirrorless camera, you can get the much more expensive Metabones Speed Booster adaptors, to use lenses designed for APS-C or full-frame cameras. They reduce the focal length and effectively increase the aperture, making the lens better in low light and providing shallower depth of field. A follow focus lets you change focus smoothly and keep things in focus when they move. Most of them are designed to be mounted on 15mm rods (see below). You might need ND filters (ND) filters. These cut down the light, so you can use wide apertures (for shallow focus) and keep the shutter speed fairly slow (for smooth motion). You could get a set of ND filters of different strengths. Variable ND filters are convenient. But good ones are expensive, and they don’t work properly with wide angle lenses. A matte box with moveable flaps cuts out stray light more effectively than a lens hood, so you can shoot images with more contrast and less flare. Most include filter holders, so you can easily add and change square ND filters. They’re expensive and you usually need to mount them on 15mm rods (see below). DSLR rigs or cages are designed to make your camera easier to handhold, and to let you mount other kit. The most useful ones include 15mm rods for attaching accessories. Most accessories like follow focuses and matte boxes are designed to fit onto a pair of 15mm rods. You can buy basic camera supports with these rods, but if you buy a rig or cage they’ll probably be included. Unless you’re shooting silent, you’ll need a separate microphone or audio recorder. You can mount a microphone like the Rode Videomic Pro on your camera, connect a boom-mounted directional mic or a lavalier mic, or use a separate audio recorder like the Zoom H4n and sync the image and sound later when you edit. A Beachtek MCC-2 mount/adaptor lets you manually adjust the audio from two external microphones. The Rodelink wireless kit is great for shooting presentations and interviews. Most SLRs don’t record broadcast quality. They also shoot just 30 minutes at a time (in Europe) and use memory cards which fill up quickly. There’s a way around this for higher-end SLRs like the Canon 7D and upwards. The Atomos Ninja is a video recorder and monitor which takes the full-quality video output from the camera’s HDMI socket and records it to an external hard drive or SSD (solid state drive). It’s not cheap, but it’s a good way to upgrade a higher-end SLR to shoot real broadcast quality video. You can update or replace the firmware on some cameras. For some Canon cameras, the free open source Magic Lantern adds a lot of useful extra features like zebra stripes on overexposed areas in the viewfinder, motorised rack focus with some lenses, and timelapse. It’ll also let some cameras record RAW (unprocessed full quality) video which gives you more options with exposure and colour correction. 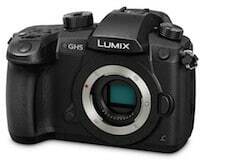 You can get a similar hack for the older Panasonic GH2 mirrorless cameras. Most cheaper system cameras have APS-C sensors. They are about the same size as traditional 35mm movie camera frames, and slightly less than half the size of so-called full frame camera sensors. Lenses designed for APS-C sensors won’t work properly if you upgrade to a full frame camera, but you can use full frame lenses on the smaller sensors. Panasonic’s ‘four thirds’ sensor size (which they share with Olympus) is smaller than Canon and Nikon’s APS-C sensors. This means the cameras are smaller but they may not be as good in low light. The optical Metabones Speedbooster adaptor is designed to let you use lenses designed for larger sensors on the Panasonics and other mirrorless cameras while maintaining their original field of view and shallow depth of field.